Ever since I found out I was having a girl, I started buying hair accessories. I am a little embarrassed to say that the pile of hair bows, clips and headbands is stacked pretty high and she hasn’t even arrived yet! In fact, I don’t even know is she will be born with any hair! 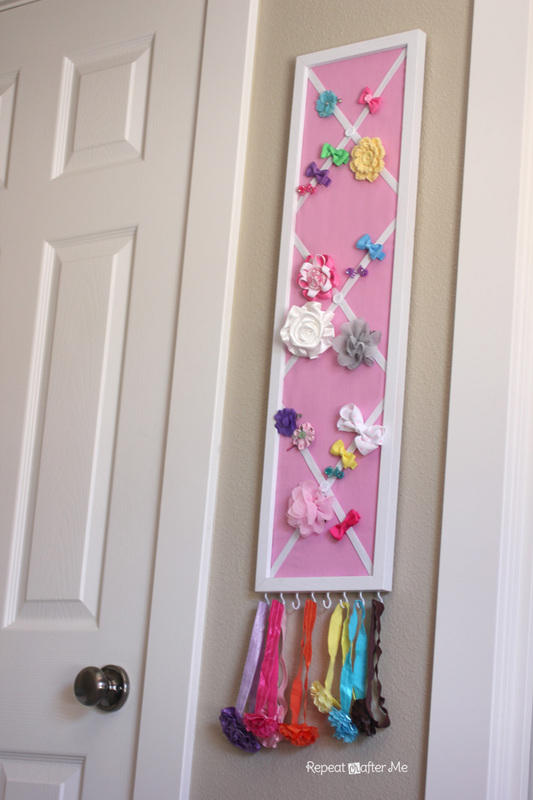 But I had a skinny wall in her room that was begging to be decorated and I thought a hair bow holder would be perfect. It’s fun way to display and organize her hair accessories and a colorful wall piece as well. And the best part is, this hair bow holder can easily convert into a message board when she is older (there is cork board under the fabric!). 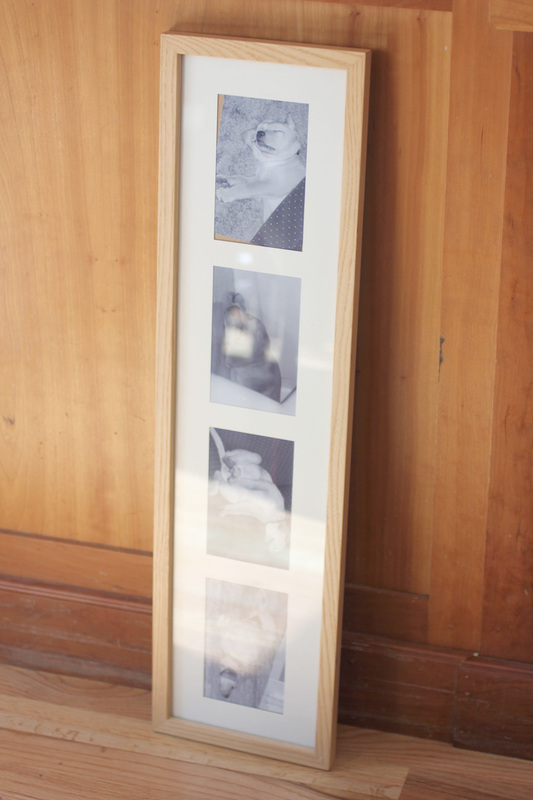 You could make this in any size or shape you want but I chose a 30″x8″ frame that fits my space. I found this old frame at Goodwill for just a couple of dollars. I took the back off (which unfortunately was cardboard, but it worked) and hot glued it onto my cork board. 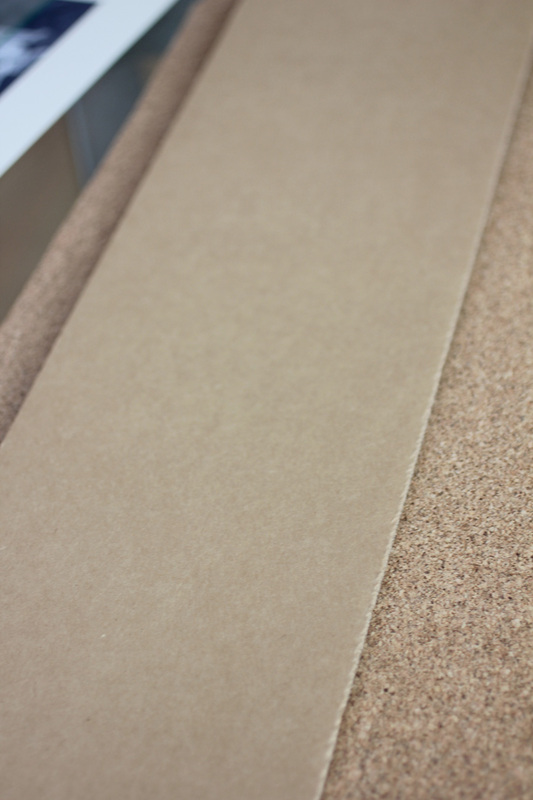 You will want to trim the cork board to the same size as the back of your frame. Next, I covered it in fabric. I ended up doubling up the fabric because I felt like one layer was too thin and see-through. 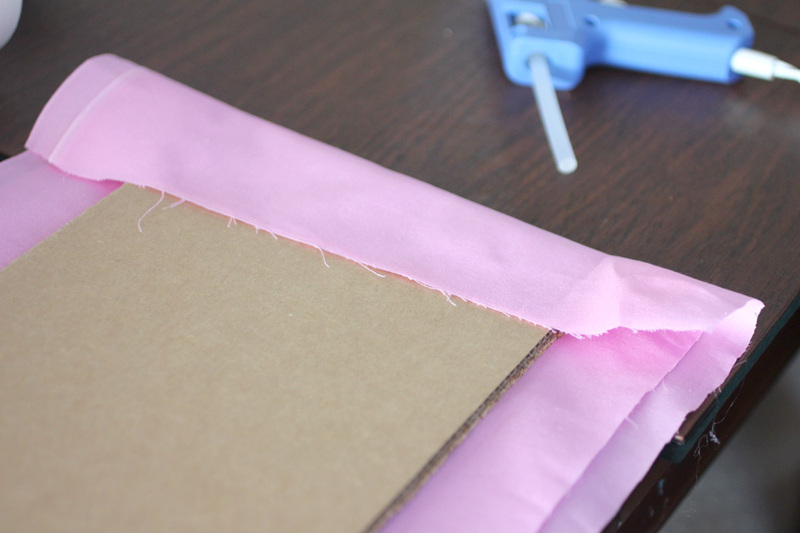 I hot glued the fabric edges onto the back of the board, but if you are good with a staple gun that would work as well 🙂 Just make sure your fabric is pulled tight! 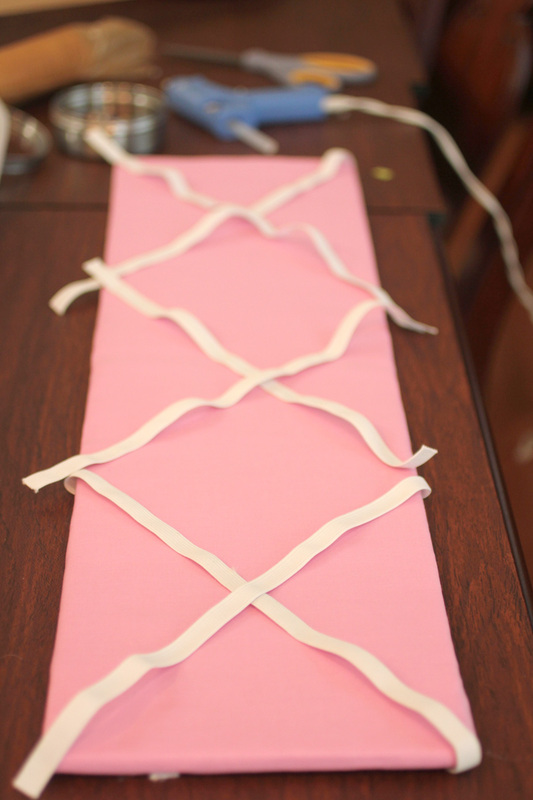 Then I laid out my elastic ribbon pieces so they would criss cross. Once you get them laid out the way you want, use a thumbtack at the point where they cross. 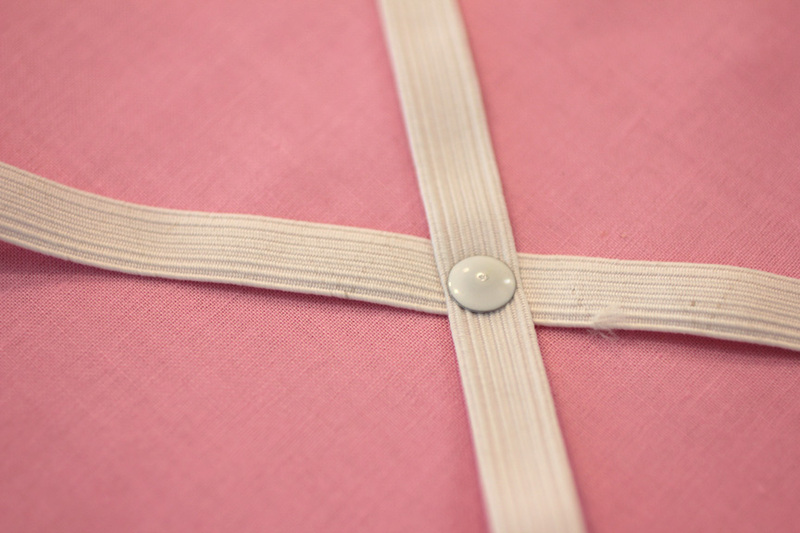 This will help to keep them in place while you glue or staple the elastic ends to the back of the frame. Make sure the elastic is pulled fairly tight. I hot glued white buttons over the thumbtacks for an extra touch. Now go ahead and spray paint your frame (if you want) and screw in your cup hooks to the bottom. I placed the cup hooks an inch apart along the bottom. 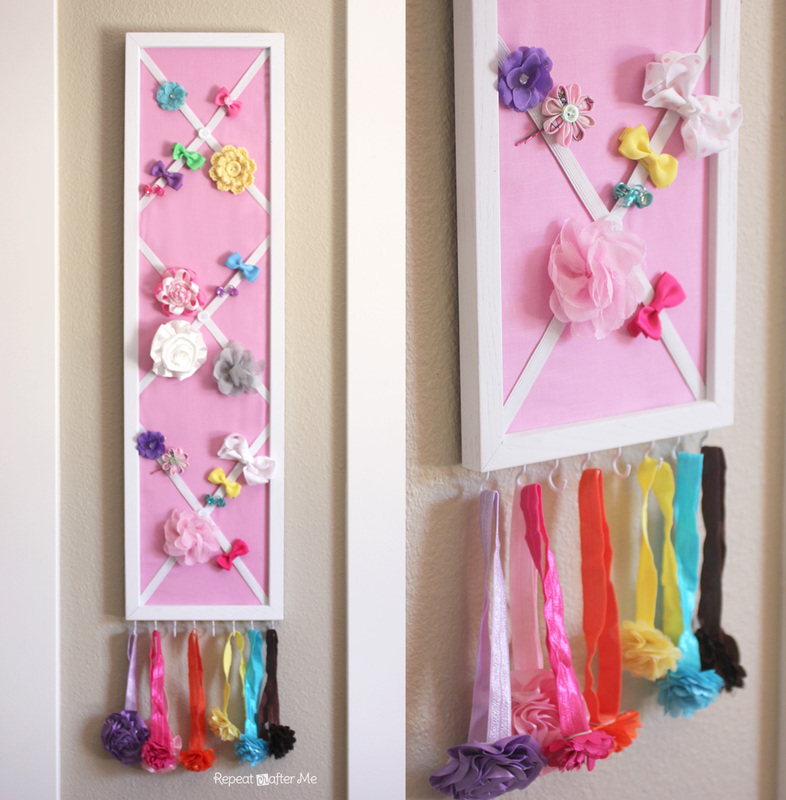 Place your new hair bow holder in the frame and hang it up! Hair clips attach to the elastic bands and headbands hang from the cup hooks. 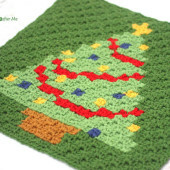 OR you can use this as a message board! 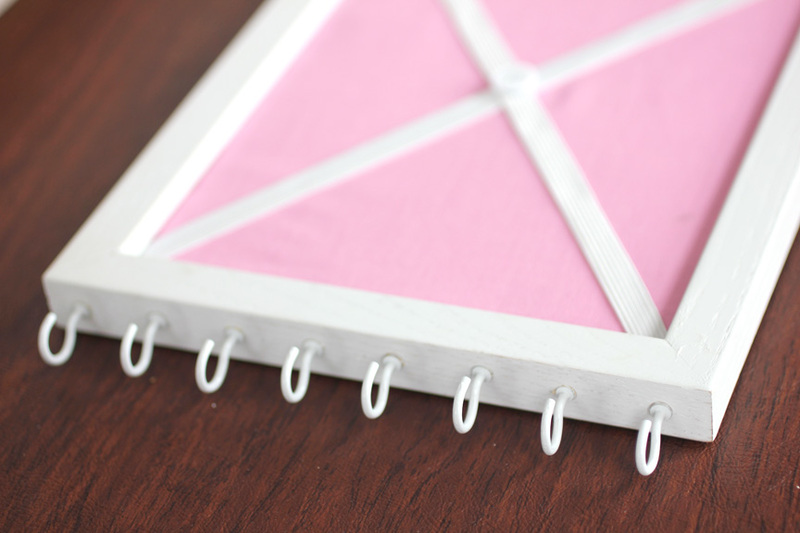 Tack up messages with additional thumbtacks and place photos under the elastic bands. 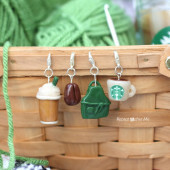 Hang accessories such as belts or jewelry from the cup hooks! what a great wall art!! how creative!! Woops, I meant 11" X 23", not 11 feet, lol! Cheap low cost grosgrain lace from the garden or even bolt for hairbows hair bows products scrapbook fibers cheerleaders get together parties boutiques and art fairs. We bring sound polka facts and also stripes in the grosgrain frills in numerous dimensions. 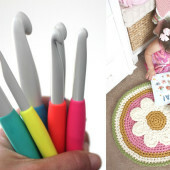 Such a wonderful post and the concept is amazing awesome,thanks for share this with us. Those are great habits! Thank you for sharing. Thats quite interesting stuff. As always. i always love to read your blog post. Nice Information share. I like your lovey post. Incredible posting this is from you. I am really and truly thrilled to read this marvelous post. You’ve really impressed me today. I hope you’ll continue to do so! We are really grateful for your blog post. Friv1 You will find a lot of approaches after visiting your post. Great work. Thanks for this post. It is a very awesome blog post. Great Article.It is awesome .Thanks for sharing information. Nice posting is a article blog sharing awesome. Thanks, These blogs are quite incredible that have provided the best knowledge. 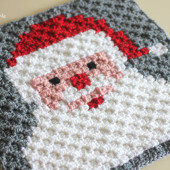 I like handmade items. It’s quite interesting. I will try it. I would like to say thank you for the amazing details and concepts you are sharing in this Post. Free price guide for BMW models to get a valuation for any BMW X5. View detailed gas mileage data for the 2018 Subaru Crosstrek. Use our handy tool to get estimated annual fuel costs based on your driving habits. Teenpattigold.com official website offers Teen Patti android Game. Buy Chips and Collect extra Bonus online. Do not worry if you have any health problems. Everyone may have such a problem. Detailed information about the treatment can be found in my blog. Much needed to you for posting such an outstanding article! I went over your website perfect for my specifications. It contains amazing and important content. Keep up the best work!. Much needed to you for this amazing Article! Great blog on medicine and your health. Come on in! I am sure that you will learn a lot of new information. What a great idea! I love how simple this is! We all know that our India is known for the varieties of food. in different states we get different varieties of food to eat. The Food Track gives you the information about different foods. And you can also learn about the recipes of different dishes. Through videos & content you can easily learn the recipes. If you want to make any dish and you don’t know how to make it, so we also tell you that how to make that dish. From our website you can easily get information of food from each corner of globe. By using the information from the food Track you can easily cook food anywhere.